About that Rose Garden health care photo with all the white guys…. (CNN) House Republicans marched to the White House on Thursday afternoon to celebrate their victory: Passage of the American Health Care Act. 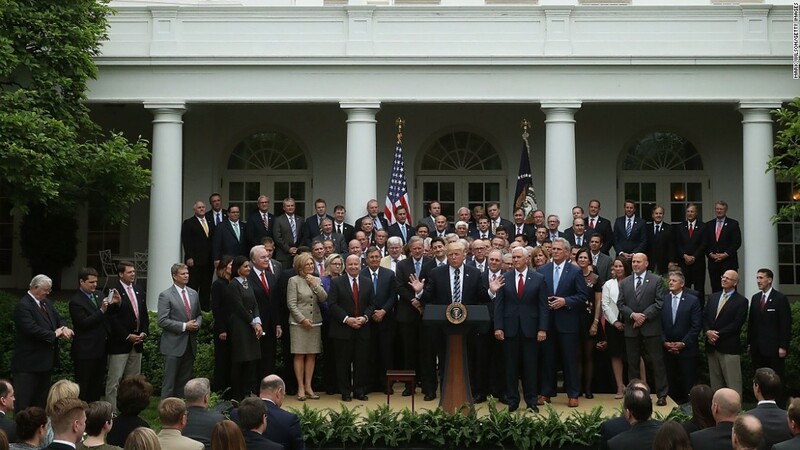 You’ll likely notice — as the Internet did very quickly — that there are only white men visible in that picture. 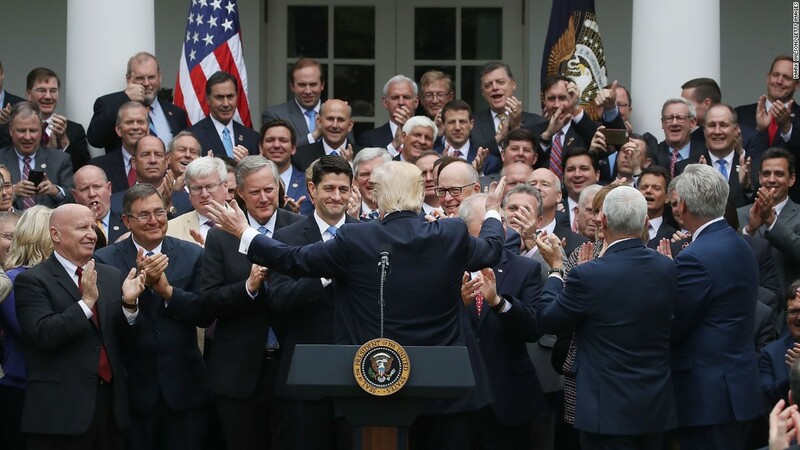 Which is not a great image to be sending to the country following the passage of a controversial healthcare law and while fighting back against the stereotype that your party is largely populated by, wait for it, white men. This tweet, to that end, was brilliant. There are two women in the photo, by the way. But one is obscured by Vice President Mike Pence and the other’s face cannot be seen behind Texas Rep. Kevin Brady. So, as is often the case, the picture seized on by the social media horde — especially the liberals within it — doesn’t tell the whole story. That said, Republicans do have a problem with diversity — both in terms of gender and race — within their ranks. Of the 238 members of the House Republican conference, just 21 of them are women, according to statistics provided by the indispensable Center for American Women and Politics at Rutgers University. That means that less than 9% of House Republicans are women. That compares unfavorably to the Democratic side where 62 of its 193 members — 32% — are women. On race, House Republicans fare even worse. They currently have only two black members — Reps. Mia Love of Utah and Will Hurd of Texas. That duo accounts for 0.8% of the total Republican conference in the House. The broader point: The widely-shared photo of the Rose Garden celebration wasn’t a totally fair representation of who was actually there. But, photo or no photo, Republicans do, quite clearly, have diversity issues.